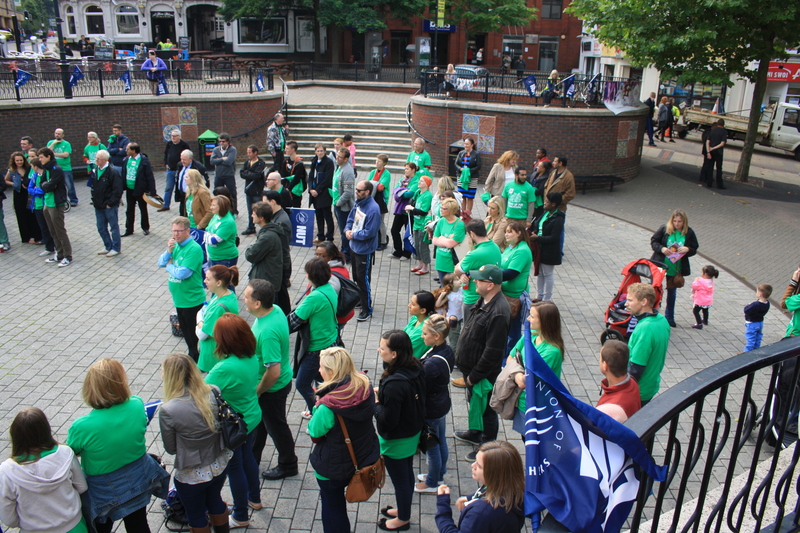 Today teachers across the UK took strike action over the attacks by our government and their puppet Michael Gove. They are standing up for education and so I went to a rally where I was invited to tell them why I am standing up for education with them. I have just been on my first ever strike on Wednesday last week, over the attacks on the firefighters pension scheme, as this government and the fire minister Brandon Lewis refuse to listen to studies and reports that THEY themselves have paid for and commissioned into the appropriate pension age for a firefighter. Their reports state 66% of the workforce are unfit at the age 55 rising up towards 90% potentially by the age of 60. This is dangerous for the public and dangerous for firefighters. Everyone in the fire service knows that 60-year-old firefighters is dangerous and politicians too will admit this behind closed doors. This is why strike action had to be called. Firefighters could not continue to participate in their lies and neither should the teachers. 68 for a teacher is too late and equally disgusting, in both the fire service and the world of teaching, people and their families are being priced out of being in a pension scheme, a scandal considering the Queen said this year her government would help people to save for their futures. 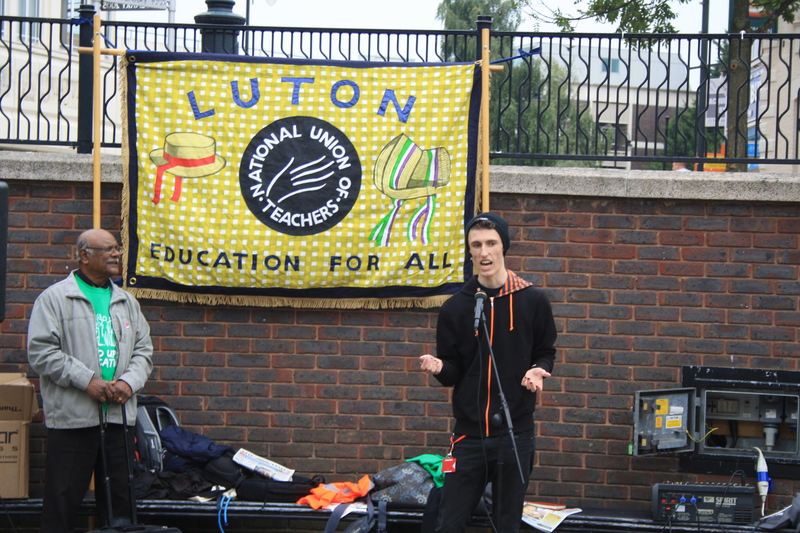 One story I heard today was of a young teacher who had to choose between running their car or paying into a pension. 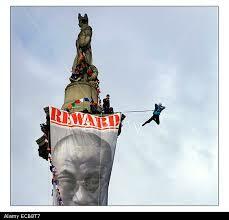 Is this the big society Cameron was talking about I wonder? The one other thing missing from all the government rhetoric and debates about pension age is the effect these creeping pension ages have on youth unemployment and aspiration! Well aside from the fact I was not even a thought in the 70’s (let alone able to remember it) I did remind him that the BBC had also been on strike, so let’s name them all and reminded him that none of these groups are asking for more of anything, they are just fighting to protect what they have and to protect what the people who came before us fought for and won. Employment rights, health and safety – the right to be able to come home to our families after work, a livable wage and pension. We are custodians of these jobs and we do not have the right to stand by idly whilst these attacks continue to erode and degrade the conditions of employment we inherited. Like teachers, firefighters face other fights around the corner; cuts and privatisation to name two and like teachers we have a minister responsible for these so-called negotiations who seems to understand and know nothing about what it is we do. Teachers have one of the most important jobs in the world, they quite literally are responsible with shaping our future with their everyday engagements with our children. Teachers lay the foundation for which we strive for a better world than the one we’ve inherited, Michael Gove and co would have them only responsible for teaching them what to think but teachers know they are charged with something more important; teaching children HOW to think. But teaching and education is under threat from a man who knows nothing about it – Michael Gove – a man intent on crushing the young by testing them to failure. 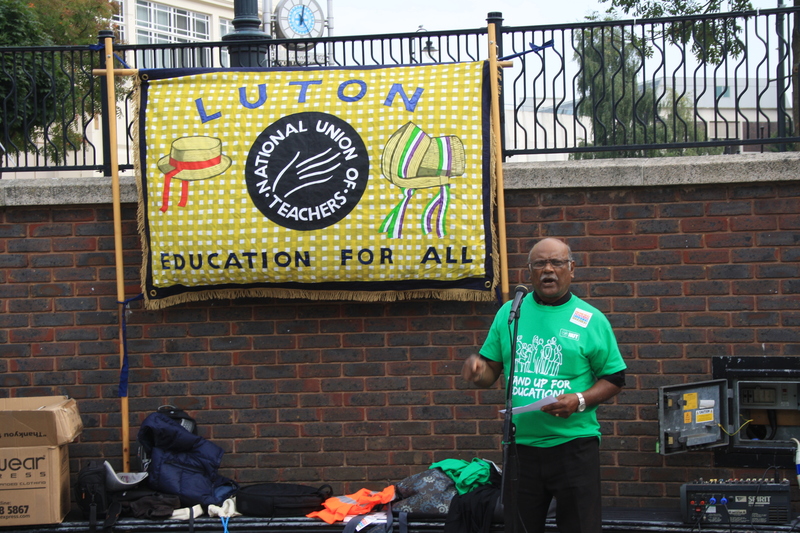 I have had discussions with teachers and a man I am proud to call a friend, Dave Mingay and I cannot believe what I am hearing about in the world of education and teaching. I get mad and then I get annoyed that it has made me angry. 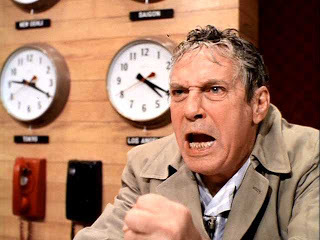 Then I remember the 1976 film Network when Peter Finch says: “First you’ve got to get MAD!”, and then I settle. Getting mad is not enough, we have to get active and we have to get involved and get engaged, not just with our own issues and disputes but with others too and this is why I am today, standing up for education. To this end some firefighters have decided to start standing up against this austerity and provide a voice for those without one and for those waiting to find their voice. Their message to the government and any subsequent government is this; WE SAVE PEOPLE NOT BANKS. The under pinning reason for all these attacks is the ideological austerity of our politicians to solve a financial crises created by fraudulent banking practices and corrupt politicians. Not by us. Not by you and I. But by them. But they are making us pay for it and using it as a smoke screen to push through what they started in the 80’s. They are pushing through everything they can ahead of the next election just in case they do not get back in and they know that once done, Labour will not undo the mess they are creating. These politicians know what they are doing is outrageous but they are counting on the fact they we will do nothing about it. This is why they are prepared to accept pay rises of £10,000 and claim £39 breakfasts on expenses just after they have told us we can live on £53 a week! If we do not start offering a resistance now there will be no end to what they will take from us. We are already seeing the attacks on our terms and conditions and contracts and I found out last week that schools and colleges have VTs – visiting teachers? 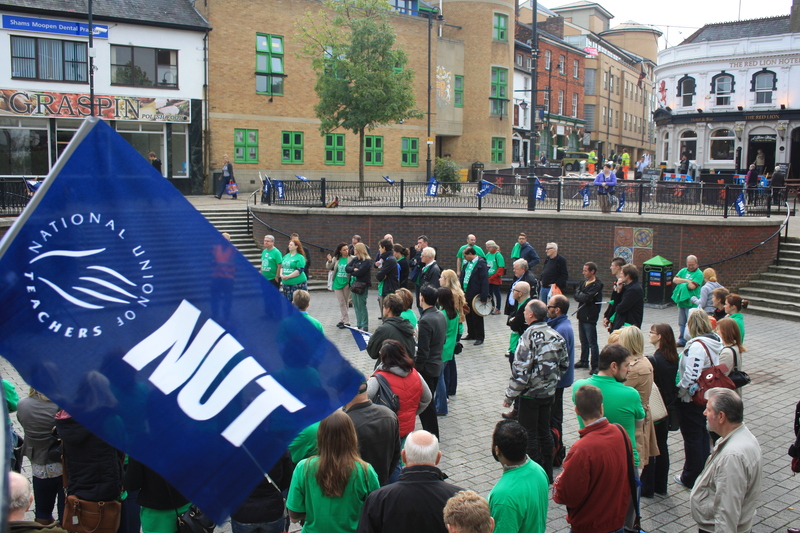 Working on zero-hour contracts?! So we will expect to not get something for nothing but Sports Direct, Academy schools, McDonald’s the Queen and probably Mickey Mouse can get slave labour for nothing?? We are seeing our NHS sold off and now our Royal Mail, the Queens head is for sale, before our very eyes and If we do not start making a collective resistance to all these attacks soon, they’ll take it all back and siphon off the profits of public money into the pockets of their privateer friends. Together we are stronger than we are divided – we have more in common with each other than we do with the likes of Gove, Lewis, Pickles and Duncan-Smith. I know it’s difficult to take strike action, particular in today’s society. The Media will of course be talking about the disruption it causes families and the loss of a days education. If Michael Gove and his cronies are allowed to push through their agenda unchallenged then it will be more than a days education our children will be losing, it will quite literally be their future and ours with it. We have to be smarter and utilise the social media to get across our arguments. The majority of people will still get their news from Rupert Murdoch and the BBC but this is about creating ripples. If you drop a pebble in a pond, soon those ripples cross the entire pond. This is what we must do, create ripples and perhaps one day they will become tidal waves. 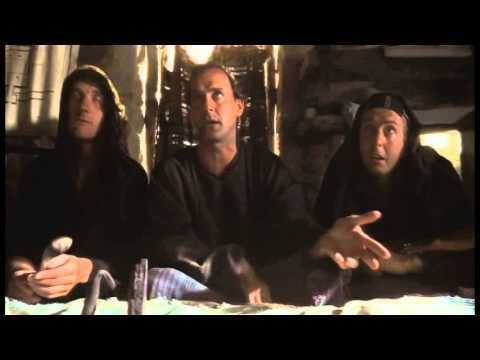 A wise man once told me that if you’re right you’ve got the right to fight and if you fight you can win. 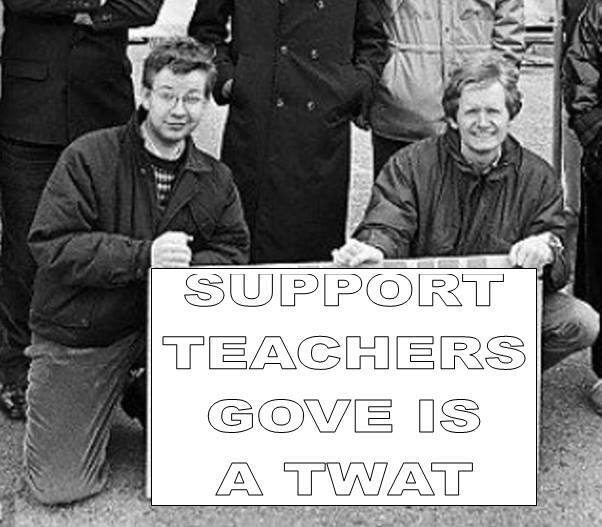 The teachers arguments against Gove’s attacks on education are sound.